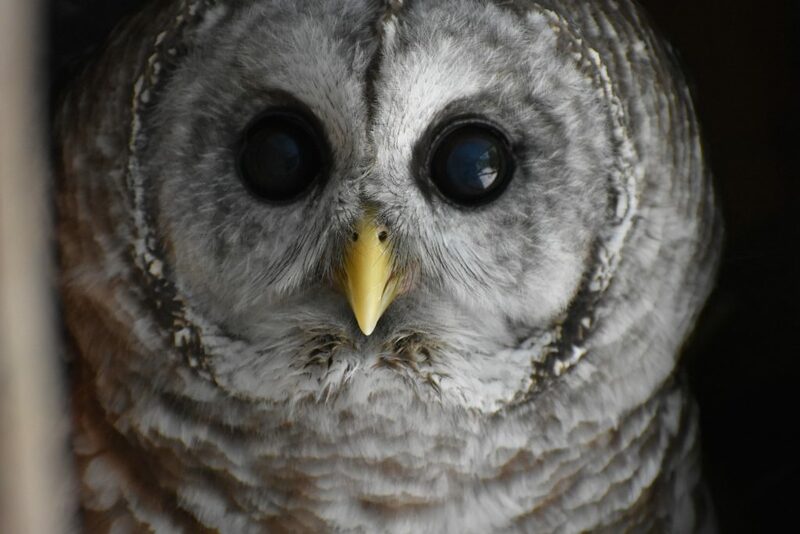 A barred owl’s right ear is higher than its left ear. Hearing from two different angles helps it pinpoint the location of prey. 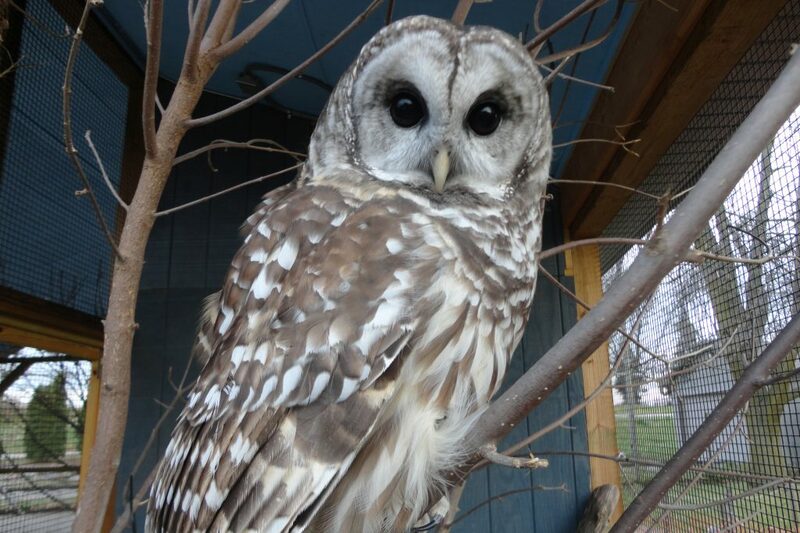 The barred owl is very vocal and will call even during the day. It has a loud distinctive eight or nine note call which seems to ask “who-cooks-for-you, who-cooks-for-you-all" in addition to other shorter calls, squeaks, and grunts. Barred owls are carnivorous birds that hunt and kill other animals. They have talons for seizing prey and a hooked beak for tearing it apart. Raptors have keen eyesight and can pick out prey from miles away.